The Olympic Stadium in Berlin is definitely worth a visit. On non-working days you can explore this historical place either alone or on a guided tour. In 1912, the German Empire was awarded the contract for hosting the Olympic Games in 1916. The construction work for the German stadium began in August 1912. After only 200 days of construction, a stadium for 30000 spectators and an Olympic pool for 3000 spectators were created. Unfortunately, the dream of the Olympian Games came to an abrupt end when the first world war began. The stadium was closed and served as a hospital. It was only in 1916 when sports competitions took place there again. In 1931, Germany succeeded again and came out on top of the other competitors interested in hosting the next Olympic Games. They were awarded the contract for 1936. When Hitler was appointed Reichskanzler, he quickly recognised the propaganda effect that would emanate from the games and ordered the construction of a new stadium. 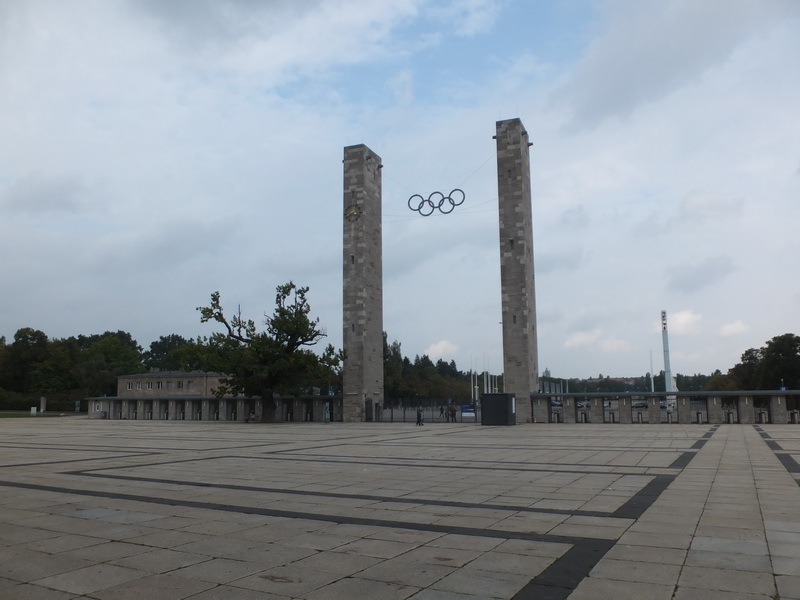 His plan included: A main square in front of the stadium with space for the marches of his supporters, a stand for the Führer, a belfry on the east-west axis, the Coubertin Square and the Olympic pool on the north-south axis. In 1934 construction began, and was concluded in 1936, perfectly on time for the games. On the 1.8.1936 the Olympic Games in Berlin were opened, 49 nations were taking part. The most successful athlete was Jesse Owens with 4 gold medals. After the games, the “Reichsportfeld”, the Reich’s athletic fields, became the site of major military events. When the Second World War ended, the British moved to the grounds of the Olympic Stadium and public use was no longer possible. 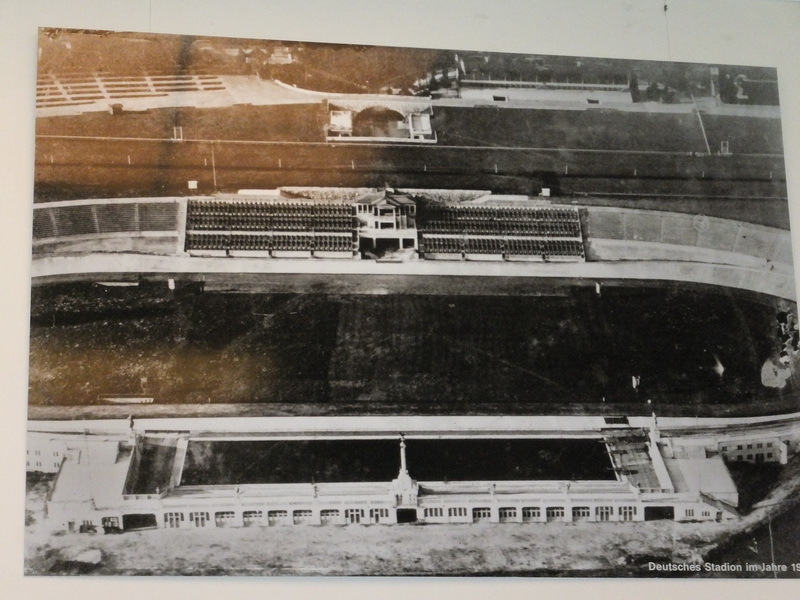 1946 was the first year that saw events held in the stadium again and in 1949 it was officially handed over to the German authorities. 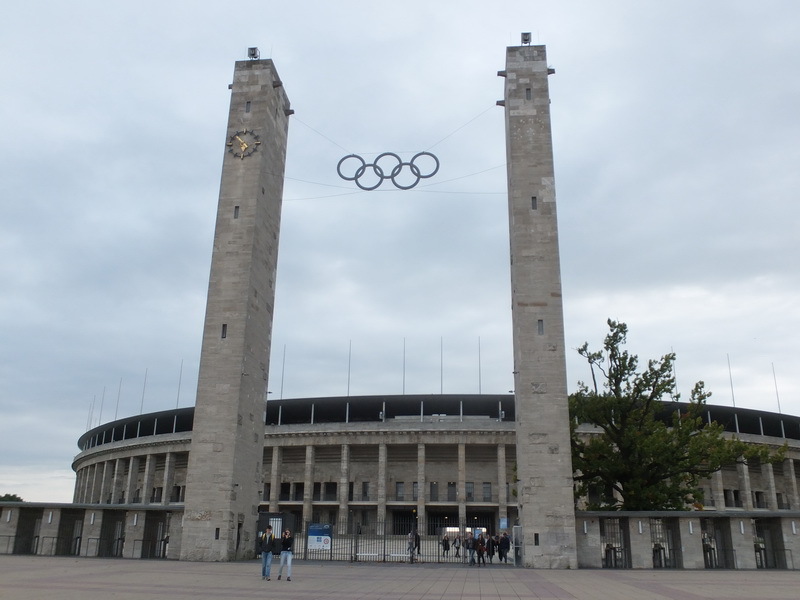 From 2000-2004 the Olympic Stadium in Berlin was expanded to a 5 star stadium for the football. Now, all sorts of different events are held here regularly. The tour through the Olympic Stadium is really interesting. Parts of it are shown that cannot be visited alone. We were led not only through the waiting area for the athletes, the interview zone and the changing rooms. We could also take a look at the gold-plated chapel, financed entirely by donations. People can, amongst other things, get married or baptised here. The inner area of the stadium is also impressive. From the east bank to the VIP Lounge there is a wide range of seating options. A difference to other stadiums - the Olympic Stadium in Berlin has a blue outer track for the athletics competitions. If you want to explore without a guide you can also wander on the terrain alone. Stands, marathon gate, the view of the “Maifeld” and the swimming stadium show a little insight into the sheer size of the terrain. The guided tour gave us a lot of new impressions, which we would not have had otherwise.